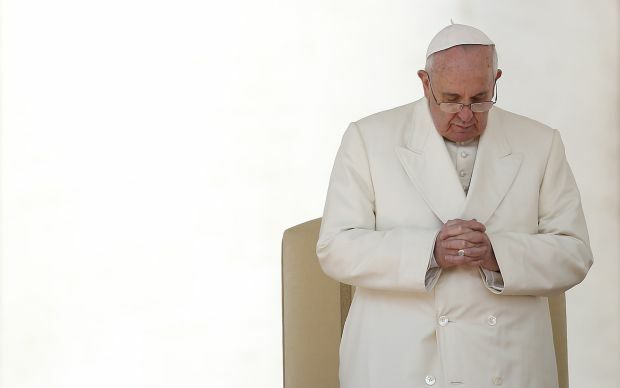 VATICAN CITY (CNS) — In his formal documents, many speeches and unscripted morning homilies the past year, Pope Francis has given the church a bounty of memorable sound bites. Here’s a look at what could be the top 10 most quotable quotes. — “This is precisely the reason for the dissatisfaction of some, who end up sad — sad priests — in some sense becoming collectors of antiques or novelties, instead of being shepherds living with ‘the odor of the sheep.’ This I ask you: Be shepherds, with the ‘odor of the sheep,’ make it real, as shepherds among your flock, fishers of men.” (Chrism Mass, March 28, 2013). — “Ask yourselves this question: How often is Jesus inside and knocking at the door to be let out, to come out? And we do not let him out because of our own need for security, because so often we are locked into ephemeral structures that serve solely to make us slaves and not free children of God.” (Pentecost vigil, May 18, 2013). — “Men and women are sacrificed to the idols of profit and consumption: it is the ‘culture of waste.’ If a computer breaks it is a tragedy, but poverty, the needs and dramas of so many people end up being considered normal. … When the stock market drops 10 points in some cities, it constitutes a tragedy. Someone who dies is not news, but lowering income by 10 points is a tragedy! In this way people are thrown aside as if they were trash.” (General audience, June 5, 2013). — “Faith is not a light which scatters all our darkness, but a lamp which guides our steps in the night and suffices for the journey. To those who suffer, God does not provide arguments which explain everything; rather, his response is that of an accompanying presence, a history of goodness which touches every story of suffering and opens up a ray of light.” (“Lumen Fidei,” June 29, 2013). — “If someone is gay and is searching for the Lord and has good will, then who am I to judge him? … The problem is not having this tendency, no, we must be brothers and sisters to one another. The problem is in making a lobby of this tendency: a lobby of misers, a lobby of politicians, a lobby of masons, so many lobbies.” (News conference during flight from Brazil to Rome, July 28, 2013). — “An evangelizer must never look like someone who has just come back from a funeral.” (“Evangelii Gaudium,” Nov. 24, 2013). — “Gossip can also kill, because it kills the reputation of the person! It is so terrible to gossip! At first it may seem like a nice thing, even amusing, like enjoying a candy. But in the end, it fills the heart with bitterness, and even poisons us.” (Angelus, Feb. 16, 2014). — “The perfect family doesn’t exist, nor is there a perfect husband or a perfect wife, and let’s not talk about the perfect mother-in-law! It’s just us sinners.” A healthy family life requires frequent use of three phrases: “May I? Thank you, and I’m sorry” and “never, never, never end the day without making peace.” (Meeting with engaged couples, Feb. 14, 2014).